Sometimes my daughter Miffa has to face risks that an average bunny usually does not face. Sometimes people point me and tell me I am putting too much pressure on her. Far from reality, I always overprotect her and if in a difficult situation I will put myself in great danger to avoid any damage to my beloved child. But I must admit that her HongKongnese roots have a great influence in her character and he considers herself one of a kind. Stealing The Economist from our neighbours, seeking from perfection, and continuously defying and arguing with an ultra competitive Mother Bunny is forging her character. But she is still the sweetest bunny on earth. Here you can find some links with our route. For those of you interested in GIS, we used an inexpensive data logger GPS and we tracked our 48,78 km journey. We spent 8 hours and 21 minutes seeking for sea cucumbers. Visit the links underneath to sea some details about our trip. Miffa’s impressive expedition to dominate the sea cucumber market. Knowledge, charisma, self-motivation and the ability to select and train a good team is the key to a successful enterprise. Miffa has inherited from his biological grand father a enormous ambition to explore and to bunny dominate the world. 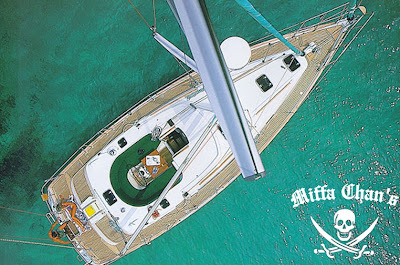 To celebrate the new golden Pig year, Miffa and her crew will depart from 41°50’37.41″N – 3° 7’27.06″E . They will explore a vast area seeking for the best sea cucumbers. As a crew member the several times Nobel nominee – Mr. Cyteck – who has done extensive research about this amazing creature. Using the best specimens he and his team will clonate them and the biggest and most advanced sea cucumber farm will be established in Blanes (Girona). A new automated sea cucumber smoking and curing factory is being built in Guadalajara. This factory will be capable to process more than 1.5 million units a year. Miffe Chan, the highly experienced bunny sailor who will take care of the wet end. 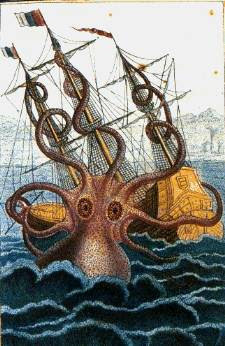 Olaf Frünsen a giant octopus baby who will take care of the keel. 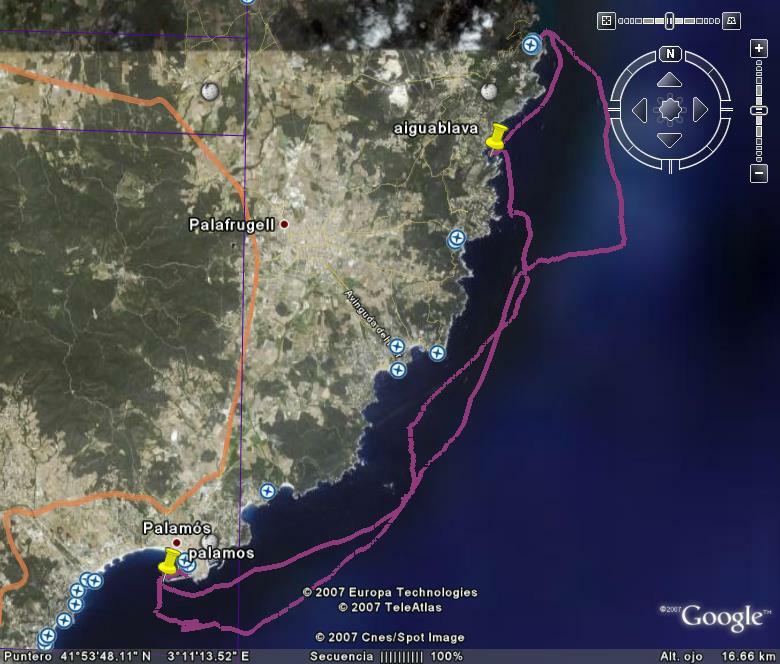 PS: The journey will be monitorized using the latest GPS devices and Google Earth. Now we know that he is a sleepwalker. Today at 6:30 we found a carton box with weird labels and with Olaf’s tentacles mark over it. Should we open it? I Said to my sister Miffa. 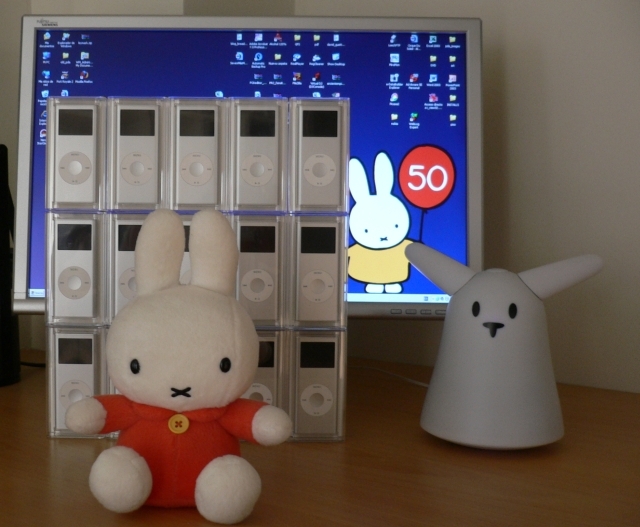 And we opened it, and……we founded 15 Apple ipods!!!! 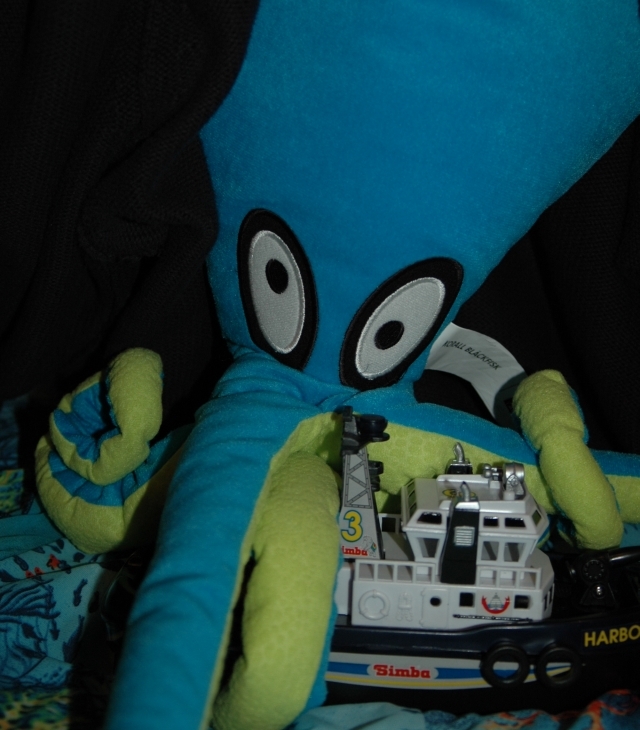 Or may be while asleep he thought he was a Kraken like in the photoset my sister did. Anyways, thank you Olaf for this nice present. The Legend of The Kraken: Do you enjoy mussels? My friend Miffa has already introduced me in this space. We met ourselves in Port Lligat. Miffa was sailing with Mother and Father Bunny and they tried to anchor in the bay but the wind was strong and it’s not an easy place. Strong currents and winds coming from the north forced me to refuge in that small bay too. I got stuck onto their ships rudder and while father bunny was securing the anchor Miffa discovered me well attached to the hull. 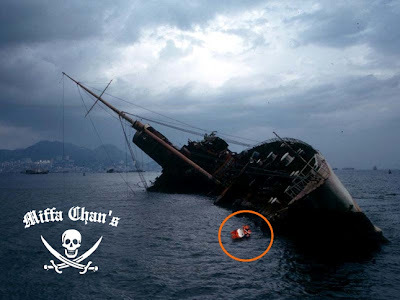 They invited me to get on board and we have some sardines, shrimps and all kind off food an octopus can dream with. Miffa invited me to join them in their journey back home, and I accepted. Now after so many adventures and fun since her 100th post party she has convinced me to post in her blog. What it is really true is that down in the big blue (earth surface is only 30% of the global planet surface) very big animals and unknown creatures can be found. Surely they’re more afraid about coming to the surface that you are of them. You, humans know little bit about our seas.